We are marking the 100th capture of Detroit's Most Wanted thanks to your tips. Twenty-one killers and dozens more of the most dangerous criminals in metro Detroit have been featured in our stories with the U.S. Marshals -- and captured. DETROIT (WXYZ) — We are marking the 100th capture of Detroit's Most Wanted thanks to your tips. Twenty-one killers and dozens more of the most dangerous criminals in metro Detroit have been featured in our stories with the U.S. Marshals -- and captured. "When I moved home to metro Detroit four years ago, I wanted to create something that brought us all together and that was inspired by the dedication and the legacy of WXYZ." "In a time when the community, police and the media all have strained relationships – Detroit’s Most Wanted is something we’ve all been able to find common ground on." "These 100 captures are based solely on your tips, and pressure for fugitives to surrender. But for the ones who don’t , there’s an incredible team of law enforcement agents from across metro Detroit working around the clock, to catch Detroit's Most Wanted." The Most Wanted task force got started after a Sterling Heights police officer was murdered in a parking lot. To find the killer, the local police department knew they couldn't do it alone and enlisted the help of the U.S Marshals, who had far more jurisdiction. "Our officer was murdered right here in this parking lot by a coward," said Sterling Heights Police Chief Dale Dwojakowski. "Something that we’ve never experienced in Sterling Heights. Officer Mark Sawyers, just 30 years old, executed while sitting in his patrol car. The U.S. 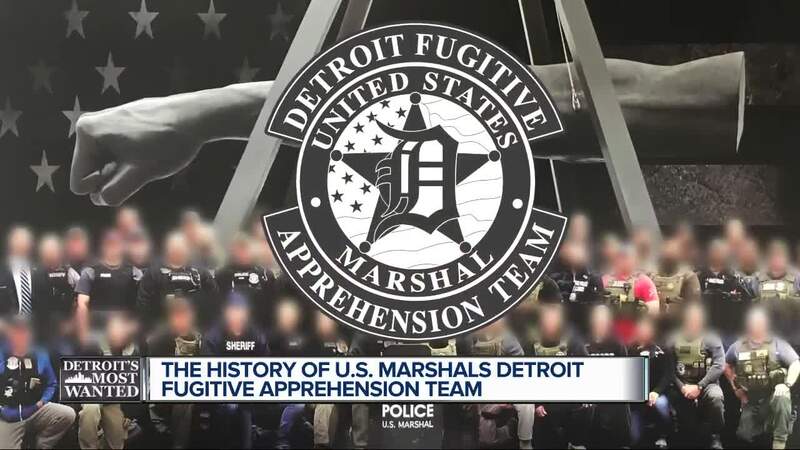 Marshals stepped up to find his killer –- and what sparked a collaborative manhunt out of compassion for a fallen brother -- is now the Detroit Fugitive Apprehension Team. DFAT is comprised of 58 law enforcement officers from both state and local partners led by the U.S. Marshals.